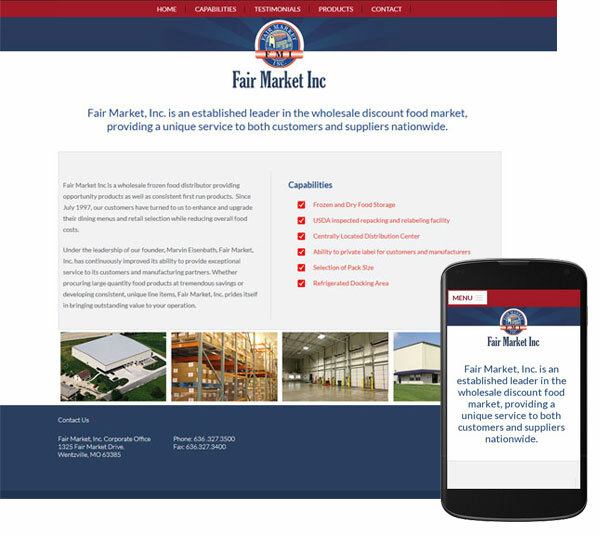 Fair Market is a leader in the wholesale discount food market and employs volume purchasing providing excellent opportunities to customers and suppliers alike. With this in mind we developed a site architecture which delivers the information unique to each type of user, from excess food supplier to customers looking for food distribution for buffets. Zoe did a great job of helping us come up with a design for our website, and then created it beautifully. She did absolutely amazing work.